In 1986, pop music group Timbuk3 released a song The Future’s So Bright, I Gotta Wear Shades. 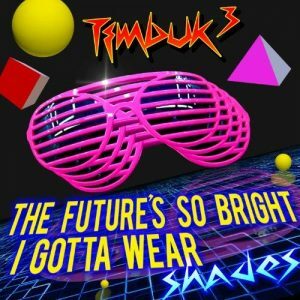 The message behind the bouncy pop tune was widely misinterpreted from the songwriter’s intention of the fear of a nuclear holocaust, to a positive perspective on our up and coming future. 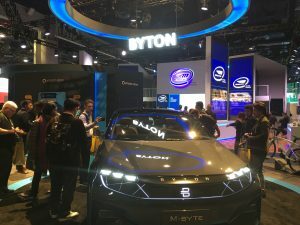 As I walked throughout the halls of the 2019 Consumer Electronics Show in Las Vegas last week I too had that positive outlook and couldn’t help to rid my mind of the catchy tune. For me, CES is a happy place. It reminds every attendee of the positive innovations that lie ahead. Some are here now. It gives us hope that the idealized view of humanity Gene Roddenberry created just might happen one day. 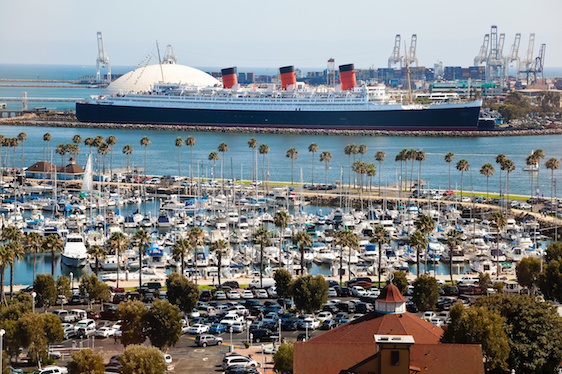 This year’s massive technology show showcased more than 4,500 exhibitors, took up more than 2.9 million net square feet, and was attended by more than 188,000 industry professionals. These numbers alone are staggering, but it’s what’s found in the crowded halls and rows throughout the shows 3 locations that’s really worth discussing. Let’s take a look at some of the highlights from this year’s show. Every year at the show TV’s just keep getting better, thinner, and bigger. 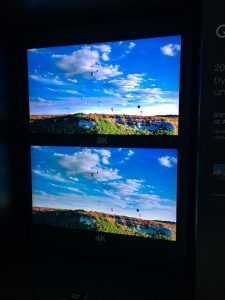 Samsung, Sony, Toshiba, Hisense, and LG all were showcasing 8K TV’s at CES. That refers to the resolution of the picture (8000 pixels). Currently most people haven’t even bought into “last years advancement”, 4K. While I’m a big fan of technological advancements in display technology, I had a hard time distinguishing an 8K picture from a 4K picture. Samsung had two of them side by side just so I could decide. TV’s are getting to be like iPhone cameras. Do we really need a greater resolution? It’s great that display technology is evolving but there’s a point where the human eye can’t even tell a difference anymore. Going from standard definition TV to HD was huge. HD to 4K/UHD was a noticeable improvement. But for now, and maybe I’m biased because in 2018 I bought my first 4K TV, I’m not rushing out to buy a 8K TV because quite frankly, my eyes don’t care. Sure, in a few years we’ll all want 8K. But then you’ll find 16K TV’s coming out. Don’t get me wrong, I love our ability to improve, it’s just there’s a point where we just might not be able to tell anymore. You may have thought that LG stood for Life’s Good, part of their earlier marketing. But this South Korean company formerly known as Lucky-Goldstar always makes a splash at CES. For the longest time they have had the added benefit of being the very first booth you walk into when you enter Central Hall, and this year they did not disappoint with their massive curved OLED screen display. Just several feet past this ominous display I was introduced to one of the most talked about products of the year. 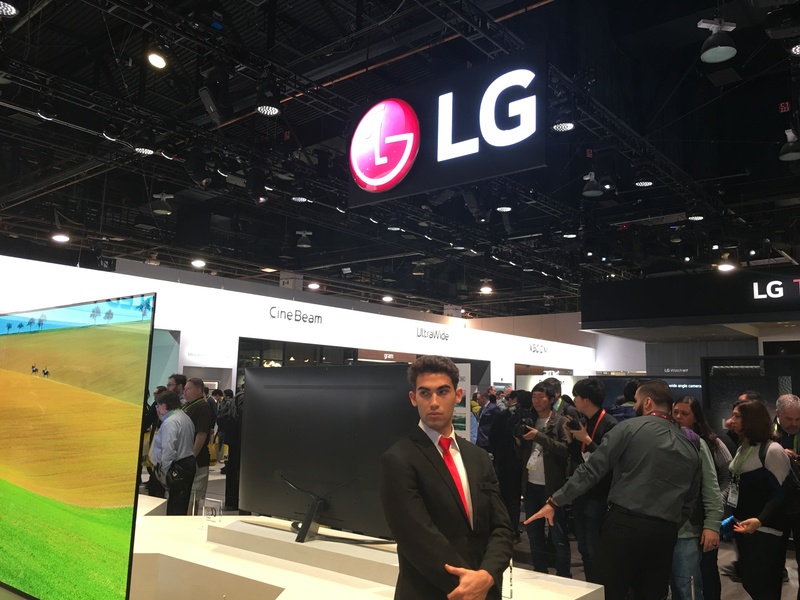 The LG 65” 4K TV’s that roll up like wrapping paper. It’s a TV when you want it, and it disappears when you don’t. While it’s amazing at 65”, it also features what LG dubs as “Line Mode” where you can have the display drop down to show just about ¼ of the panel. You can use this mini display to show things like music controls , time, temperature or weather data. Watching this TV roll up and down had people mesmerized, myself included. Surprisingly, this TV is not just a concept and it should be available in stores this year probably only for those that don’t need to ask how much it costs. Check out the front and side views of this remarkable TV below. More information can be found here. CES has its fill of flashy items. Dramatic new televisions, self-driving cars, and the latest wearable tech. These items are great because you can grasp them in your hands and marvel in their technical greatness. But some of the biggest buzz this year was created from things you can’t see or even touch. 5G is the latest generation of wireless technology. 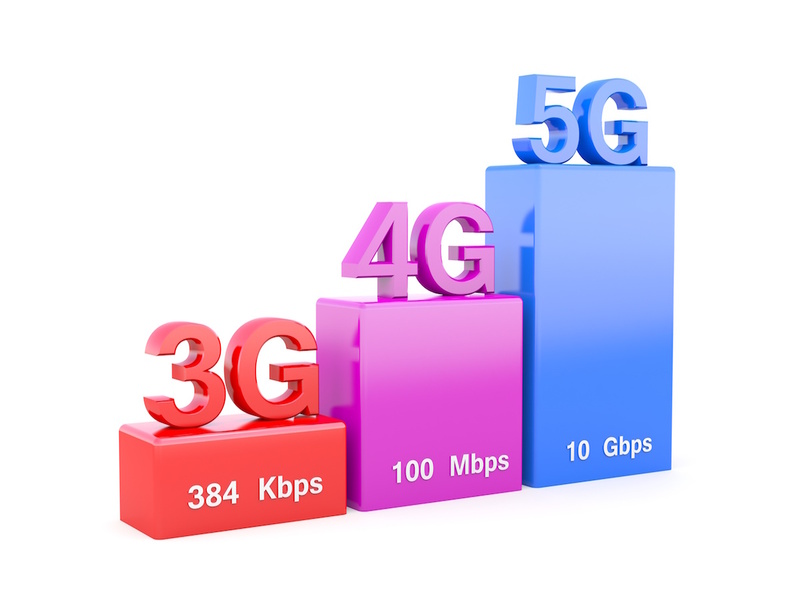 Five stands for the 5th evolution of wireless Internet and data you can receive through mobile devices. The “G’s” didn’t become household names until probably 3 and 4G were advertised heavily. But what is it? In short, it’s faster speed, lower latency, and greater capacity. So far this probably doesn’t sound that exciting to you, just a faster smartphone, right? But 5G technology will usher in a new era in mobile communications. It’s what will allow the massive amount of Internet connected devices being developed to all connect and talk with each other. 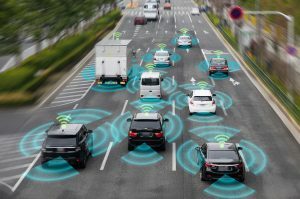 5G will be necessary for self-driving and even you-driven “connected cars” to communicate with each other. there will be 105 million connected cars. When your car changes lanes, every car around you will be notified of your maneuver. If any cars are involved in accidents, every car in the vicinity will be notified of the event, or routed around the slowdown. This has enormous potential for keeping us safe. Consider this: The phone in your pocket will track you as you are crossing a crosswalk and will alert any cars that might be approaching that you’re there. Here’s where it gets exciting. Because of the low latency of 5G connections (1 millisecond as opposed to current 4G’s 150 milliseconds), if you were crossing the street and the car approaching was notified you were in the crosswalk, that car could brake so quickly it would stop within 1 inch. On our current 4G system, it would take that car 4 ½ feet to stop. Could be the difference between life and death especially if you’re stumbling out of a bar one night. Another nice feature of 5G is it doesn’t always have to rely on cellular communication. 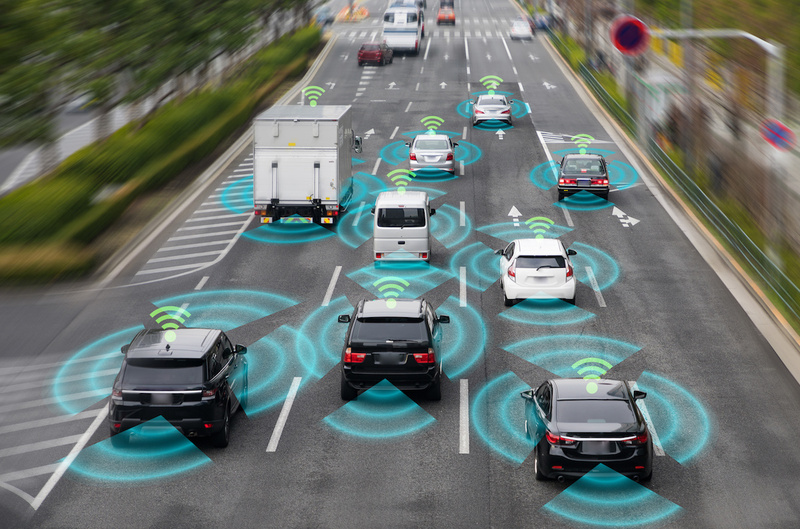 This means if your car goes out of range from a cellular connection, connected car data will allow connection to nearby cars without a cellular connection. That’s huge. Look for 5G to also be involved in virtual reality, smart cities, and don’t forget you’ll be able to download a full-length movie in about 6 seconds. 5G is currently being rolled out for in home Internet solutions from Verizon. All the major wireless carriers are racing to get this technology out and handsets ready as the future of Internet and communications will never be the same. You couldn’t walk too far at this year’s show without seeing some product boasting Artificial Intelligence. AI’s been around awhile, but at CES 2019 regular consumer products are starting to include some form of AI technology designed to offer a better experience. Artificial Intelligence is basically a series of algorithms which cause a behavior to mimic intelligence. Machine Learning is a subsection of AI that causes those algorithms to adapt, or basically learn. You’ve probably heard of, or maybe even own a smart speaker such as Amazon’s Alexa, a Google Home device, or even use Siri on your iPhone. These are all examples of AI. What the 2019 show began to demonstrate was you just can’t get enough AI. It’s sort of become a marketing buzzword, similar to how everything used to be “HD”. Look for AI and machine learning algorithms to be found in cameras, mattresses, pianos, and anything else you’d want to be smarter. Take the OBSOBOT Tail, touted as the “World’s First Auto-Director AI Camera” that follows the subject as they move. A set of advanced algorithms allows the camera to track, record and capture 4K video without the needs of a pesky camera operator. It seemed to have a few bugs during the demo, but the possibilities are real. The devices showcased at CES this year show real promise for artificial intelligence making our lives better. And we’re still at least a decade or two away from Skynet fears. Last year at the show I was introduced to Rosie the Robot, which would vacuum your floors and bring you a cold brew. I was disappointed to not see this company, Aeolus , at the show this year so the fate of Rosie is unknown. I was waiting for their next gen model to be able to at least microwave up a frozen dinner for me. Most of the robot tech that I saw still remains the rollable helping aides to be purchased by airports or hotels. These funny looking devices will carry your luggage through the airport or deliver an extra set of towels to your hotel room. 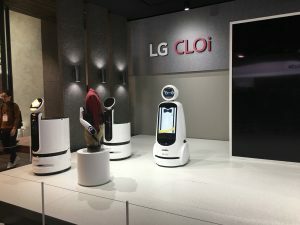 LG had several helper robots on display. I didn’t see Boston Dynamics at the show, probably because their backflipping robots are more meant for the military. But robot tech isn’t all business. There’s smaller robots designed for human companionship. Enter Japanese startup Groove’s X Lovot robot designed to be a human companion — almost like a pet. It’s no tri-colored beagle, but you also won’t have veterinarian bills or premium dog food to buy. The North Hall of CES is almost totally devoted to vehicle technology. Plus the parking lots are filled with vehicle demos. As always, this year there were some standouts. On the electric side, Nissan introduced the 2019 Leaf E+, boasting 226 miles on a single charge, yet I found it still doesn’t have thermal battery management like the now discontinued Chevy Volt. 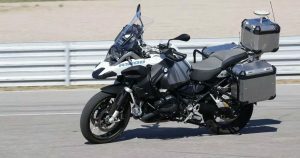 There was also a concept BMW Self Riding Motorcycle which rode itself around the convention center lot without falling over. One company I’ve had my eye on for a couple years now, Byton, once again had their M-Byte electric SUV on display again. This vehicle just might move me towards purchasing an SUV again with its slick styling and a production cockpit that has a huge 48” screen. The car even monitors the health of the driver. This SUV reportedly will be available later this year. The all electric SUV will offer 250 to 325 miles of electric range, depending on the chosen battery option. And it will fast charge to 80% in 30 minutes. This Byton SUV has been a showstopper 2 years running. Another hot topic at the show this year was the auto cockpit. When we’re not driving anymore, just what are we going to be doing in the car? Media and Entertainment folk are betting on us watching loads of digital content. 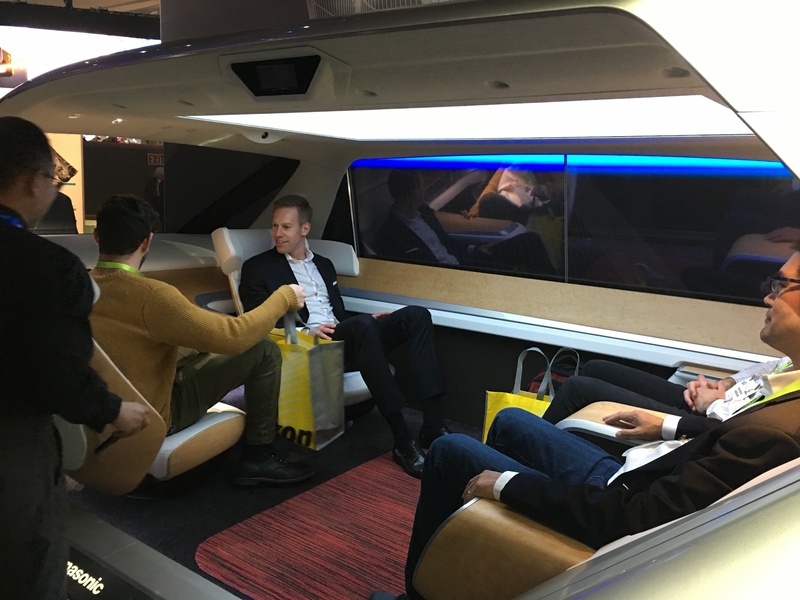 Some manufacturers like Panasonic were displaying their concepts of these automobile cabins such as the SPACe_L Autonomous Cabin. This cabin displays video and entertainment all across the windows and can even launch star effects on the ceiling for night time viewing. Autonomous driving cabins will offer all types of entertainment options to the non driving passengers. Earlier I mentioned Rosie The Robot. When you think of Rosie, you probably think of the Jetsons. When you think of the Jetsons, you undoubtedly think of Flying Cars. Cartoon fans, we are just about there! The Bell Air taxi might be your Uber someday. It would be hard to cover vehicle technology without mentioning the Bell Nexus Air Taxi. It was as much of a spectacle on the show floor as it probably was getting it into the convention center. The hybrid electric air taxi is basically a drone with six ducted fans and carries four passengers and a safety pilot. The taxi boasts it will carry people up to 150 miles at speeds up to 150 miles per hour. It’s doubtful these vehicles are going to be marketed to consumers. 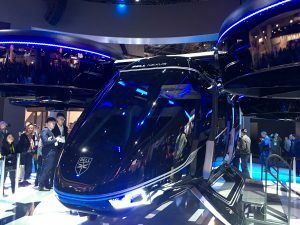 Bell is partnering with Uber however, so you might just get an air taxi option as soon as 2023 for your next rideshare. Last year I covered more on autonomous vehicles with my video documentation of the Vegas self driving shuttle. Suffice it to say, technology is advancing in this arena as well. Google’s WAYMO is currently running one of the largest beta testing platforms in the Phoenix metropolitan area. Waymo’s autonomous vehicles have driven over 8 million miles on public roads. Lyft was also running a self driving beta test during CES. I wasn’t lucky enough to get the option when I called for my rideshare. A seminar I attended which included a Waymo professional told us that all those miles are not without turmoil. Apparently technology haters are attacking the vehicles. People are throwing rocks at them, trying to run them off the road, and slashing their tires. There have been reports of people yelling at the vehicles telling them to get out of their neighborhood. Lastly, I have to mention the extreme amount of health and fitness tech from the show. I saw more wearables and health related devices than ever before. Numerous devices to track a users brain patterns, heart rate, and even a device you breathe into to measure your metabolism. A new device called Pillo integrates AI technology and voice control into an assistant that loads 28 days worth of medication and dispenses it on schedule. Panasonic was demonstrating a device that has you perform tasks and then analyzes all the data and stress points on the human body. The result is a graphical display of fatigue and physical stress points. This device is meant for businesses that may want to stress test their employee assembly line to lessen injuries and fatigue. At the HiiGa One booth, you could try electronic weight lifting with their robot gym machine that coaches you. The fitness device gives you results on your weight lifting progress, all without the use of real weights. The company spokesperson claims that it will “erase fat without weights”. Of course, it’s powered by an artificial intelligence system that will select resistance levels based on your performance and your own strength levels. Still, there’s something really cool about making a dumb dumbell weight machine so high tech. Each year I like to end my coverage with the silly, ridiculous gems found amongst the innovative tech in the halls of CES. Last year I featured a rocking bed and in 2017 it was a suitcase that drives you through the airport while sitting on it. This year there were some new contenders to these silly products. The Numi Intelligent Toilet from Kohler is an $8,000 toilet that comes complete with LED lighting, wireless Bluetooth music sync capability and a heated seat and foot warmer. It even has an SD card slot and a remote. Toilet overkill. J&S Innovations offers windows for your home that you can control from anywhere in the world with their app. That’s right, your windows connect to the Internet. In the unlikely event that you want to open your window from 2,000 miles away, sure. But this begs the question, “does everything have to be smart?”. The Big Clapper is a robot designed by Japanese startup Bye Bye World and its sole purpose is to “cheer up and spread happiness to anyone, anytime, anywhere.” It claps. Over and Over. It’s pretty darn silly. But I did stop and take a video of it because, well, it made me smile. Mission accomplished Big Clapper.